QTY 1234567891011121314151617181920212223242526272829303132333435363738394041424344454647484950515253545556575859606162 Please select a quantity. This is a genuine Premium Compatibles Inc. / PCI Brand quality replacement cartridge that replaces your used Dell 310-8706 toner cartridge. Our PCI Dell 310-8706 black toner cartridge gives you 9000 pages average at 5% print coverage and is 100% guaranteed to perform with your printer. The PCI Dell 310-8706 toner cartridge replaces your original Dell 1720 or Dell 1720dn toner cartridge exactly. PCI is a proud USA owned and operated corporation. We combine precision manufacturing with rigorous multi-layer quality control procedures to provide you with a Dell 310-8706 toner cartridge replacement you can rely on. Our PCI Dell 310-8706 black toner cartridge replacement is manufactured to the highest standards and all our products come backed with our Premium Promise factory direct 1-year warranty. PCI 310-8706PC brings you superior savings over Dell 310-8706 and delivers proven print quality and customer satisfaction. Relax and enjoy the savings knowing that use of this PCI Brand Dell 310-8706 toner cartridge will not void your printer warranty. The PCI Dell 1720 or Dell 1720dn toner cartridge is engineered to be fully compliant with your printer's software and will work flawlessly with managed print software. 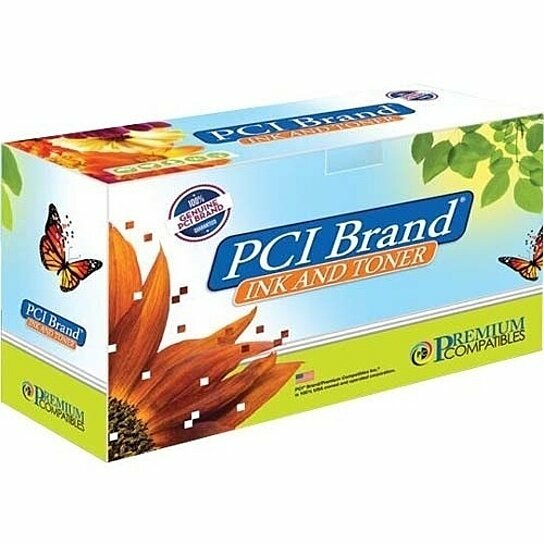 Try our PCI Brand Dell 310-8706 toner cartridge and you will understand why PCI customers love our products. This PCI Brand product is Made in the USA. This Genuine PCI Brand Product is backed by our Factory Direct Premium Promise Warranty and is guaranteed to be free from defects in materials and workmanship for One Year. Use of our PCI branded consumables will not void the manufacturer warranty of your printer, copier, fax or other hardware item. See www.pcibrand.com for more information. Stated product yields are based on the industry standard 5% page coverage. Your yield may vary based on useage.